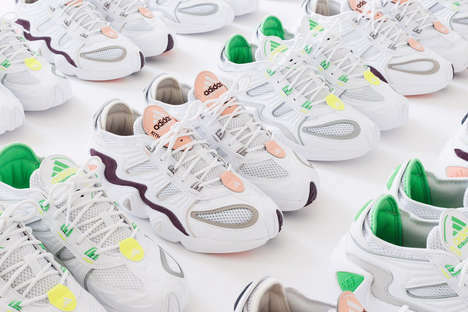 The series of April 2019 shoe trends follow a wide range of innovative factors that push for more conscious design decisions in the form of footwear. There is a focus on environmentally friendly approaches and even design versatility. The Spring season has also begun, which opens up opportunities for the more seasonally appropriate models to hit the market as well. Nike’s Plant Color collection is one of the standouts this month as it is angled from a perspective that highlights sustainability through its dyeing and construction process. It uses plant-based methods to create the subtle, yet colorful colorways. Nike continues its sustainability theme with the Sustainability collection spotlighting Earth Day. The capsule uses a brand new material called ‘Flyleather,’ which blends 50% leather-fiber materials for durability and lightweight elements.